First and foremost for any ocean and fish lover– between May and July, Coffee bay is gripped by the Sardine run. Swarms of sardines swim along this coast, bringing with them a vast amount of sea life. Following the sardines are many different species of fish like Shad, which makes it a great time to catch. Seabirds, dolphins, and whales also follow this run, and the action is something phenomenal. Shows how truly alive this ocean is. 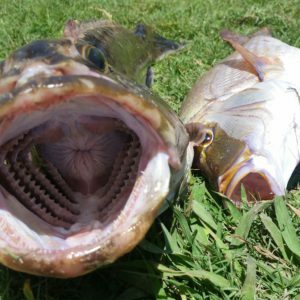 Coffee Bay is a great spot for shore angling. Coffee Bay Point, at the south end of the main beach forms a reef that runs far into the bay. This is a great spot for gully fish during low tide, but once high tide hits, the rocks become un-fishable. Around the corner across Bomvu River, there is another point known as Du Toit’s point which is one of the most deceptive spots in the area. It is very deep spot, known for Garrick, Shad, and Kingfish, however, it can be dangerous and should not be attempted without the assistance of a local. Between Mapuzi and the main beach, there is a section of rocky coastline that is home to a lot of local favorites, like Kelly’s rock and Frank’s rock. These spots are known for Bronze Bream, Zebra, and Kob. Between each spot is great gully fishing with light tackle. Hole in the Wall offers great fishing spots. Many are quite hard to reach, which require a bit of hiking but they are worth it. The most popular spot is called Ferdy’s gully which is a hike down, but Bronze bream and Galjoen are plentiful. South of this gully is a popular spot for rock fishing, renowned for its Garrick and large sharks. Grunters, Musselcrackers, Blacktail, and sometimes even Yellowtail are all also caught in this area of the Wild Coast. It can be quite dangerous, so always pay attention to the tides and make sure you are on steady ground .If not a big fan of shore angling, kayak fishing is always very rewarding, perfect getaway for the fishing lover! 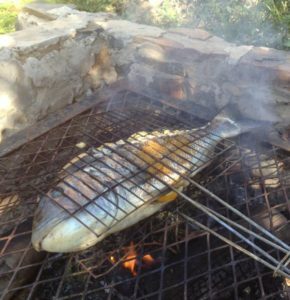 Enjoy your fresh catch on the Braai! 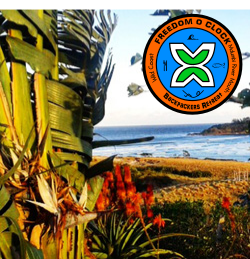 For rods, reels, tackle, and bait: Freedom O Clock in Mdumbi, and Seashells Guesthouse of Coffee Bay.